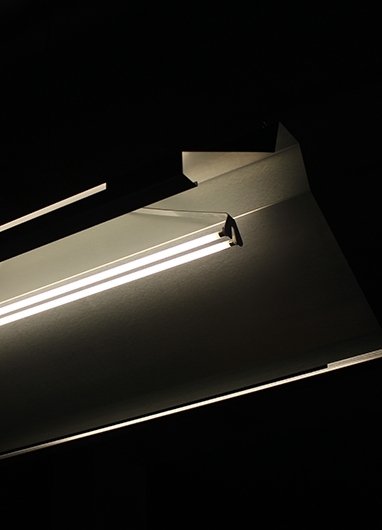 This Tube Light fixture is completely folded out of 1 sheet of metal. 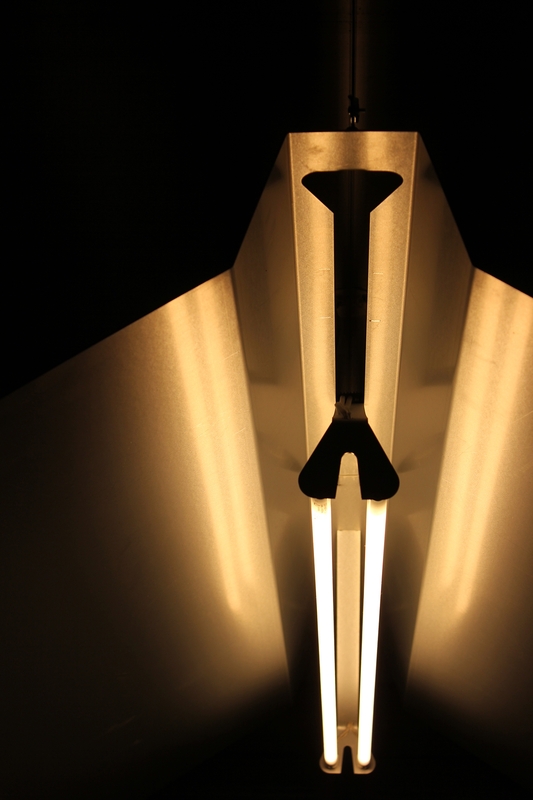 By laser cutting out parts and folding the sheet a lampshade’s formed that produces bright work light. whilst from aside the lampshade looks like an enlarged industrial TL-fixture. 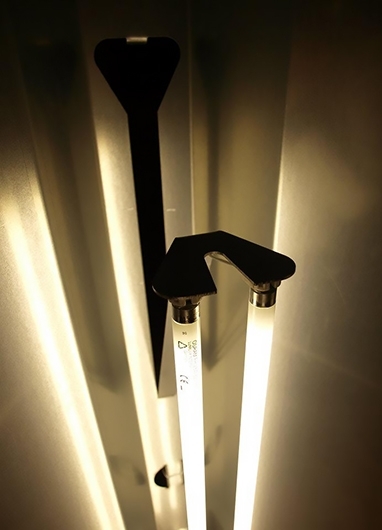 The zinc coated metal and the shape of the lampshade work as a reflector, increasing the light intensity of the two small TL5 tubes that are mounted floating in the middle of the lampshade. 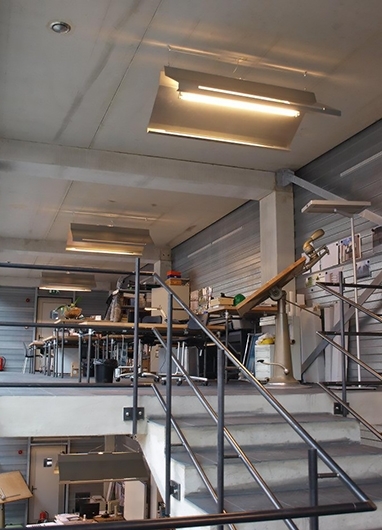 The one-sheet-lampshade was designed for a Architectural office which wanted sufficient light to draw by and rough industrial designed lampshades to match the industrial character of their office and this is the result!